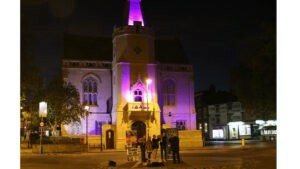 On Wednesday 24th October a purple glow lit up Banbury Town Hall to mark World Polio Day. Rotary Clubs across the world have been raising awareness and funds since 1985 to make polio the second disease to be totally eradicated from the world. (Smallpox was the first.) Both of our local Rotary Clubs (Banbury and Cherwell) have been actively promoting the cause in recent years. Local schools – primary, secondary and special – have formed a partnership with Rotary to carpet Banbury with drifts of purple crocuses and stage concerts each spring to celebrate the new year’s growth and raise funds tor vaccinations. Over the past five years the local Rotary Club Crocus Projects Partnership involved 43 schools. Planting this autumn will bring the total number of ruby giant crocus corms planted to over 100,000. Since the concerts began in 2014, the local partnership has raised sufficient funds to immunise a third of a million children. Both Cherwell District and Banbury Town Council have supported the schools and Rotary in this local contribution to the worldwide effort. Local churches, businesses, community groups and individuals have backed the events and a certificate to commemorate the achievements of the past five years was sent to all involved during summer and autumn this year. 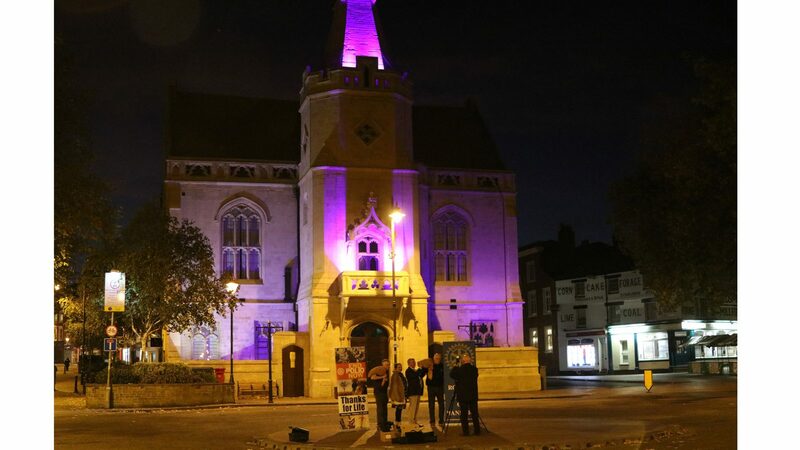 The purple lighting of Banbury Town Hall will celebrate the whole community’s participation and commitment to continue the battle until the disease is finally defeated.